Smoking could get a lot harder in the City. Smoking could get a lot tougher in a city that has the audacity to tell Michael Jordan to stash his stogy in public. 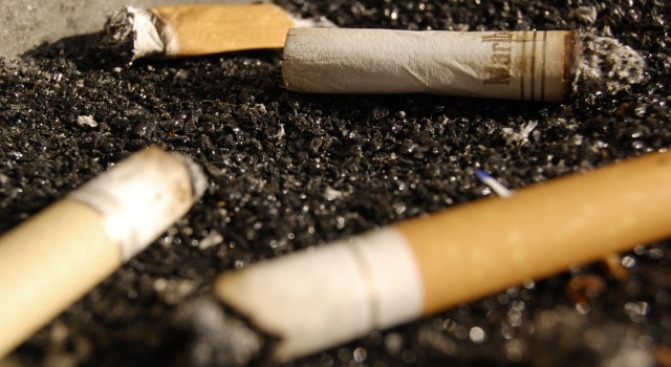 The San Francisco Board of Supervisors Committee on Land Use and Economic Development meets Monday to consider implementing stricter smoking regulations in the City. The proposed ordinance would make it illegal to smoke in multi-unit housing complexes, outdoor restaurant dining areas, ATM and theater lines, hotel lobbies, farmers markets, charity bingo games and tobacco shops. And yes the last two bans are real. If passed San Franciscowould join other Bay Area cities like Berkeley, Dublin and Los Gatos with similar bans. San Francisco has been making life more difficult for smokers recently. The City has gone to court to enforce a ban on tobacco sales in pharmacies and the Board of Supervisors approved a 33-cent tax to each pack of cigarettes sold in San Francisco to clean up cigarette butts left on the street.